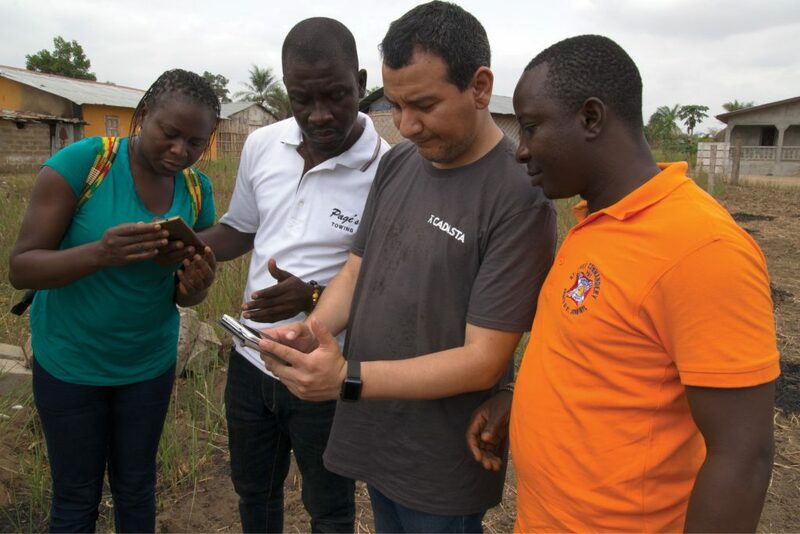 Cadasta’s mission is to advance global land and resource rights of vulnerable communities through innovative technologies and services, including geospatial technologies. Satellite imagery and data layers help communities visualize and drop boundary points, and to link geospatial information to household and community-level survey data on land and its inhabitants and uses. 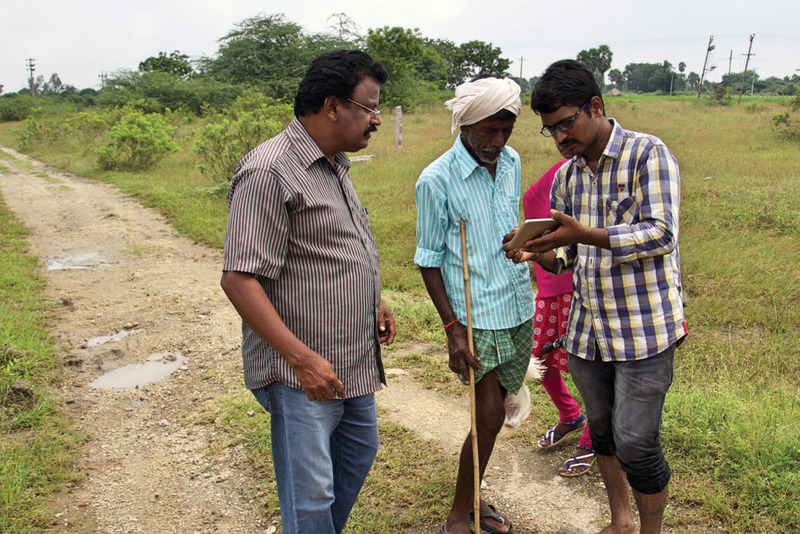 Cadasta’s use of geospatial technology helps communities and their stakeholders make better decisions, advocate for their land rights and safeguard sustainable access to land and natural resources from the bottom-up. For the over 1.5 billion people in the world who are tenure-insecure, geospatial data and information systems have long been inaccessible and far from the reality they face on the ground. Only in recent years have GPS-enabled devices and access to mapping technologies allowed people in remote and marginalized rural, urban, and peri-urban areas to visualize how geospatial data matters to them. 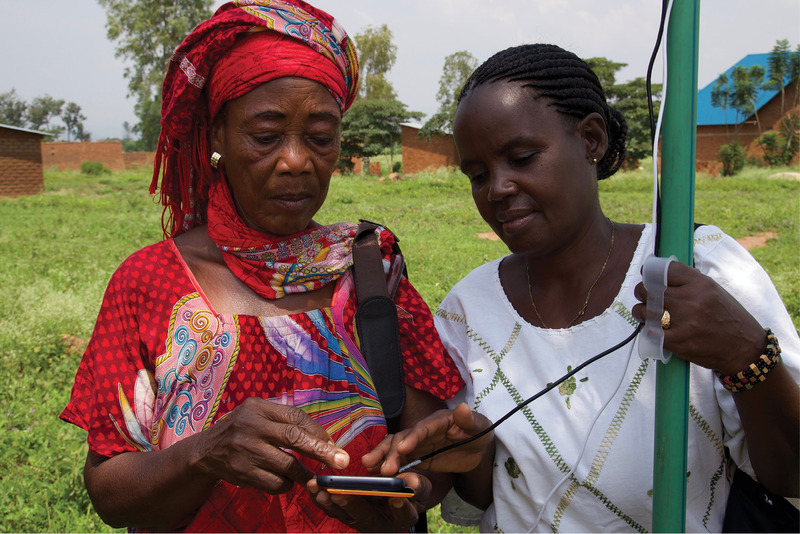 Cadasta provides affordable, simple mobile data collection tools and access to geospatial imagery and a global platform to store and manage land data at the community level. It partners with communities left out of formal land systems and groups that work with them to help get them and their needs on the map. Cadasta trains communities and their partners to map their own rights and to use the data to advocate for and secure land tenure. Goal 1, No Poverty, states that “all men and women… have equal rights to economic resources, as well as access to basic services, ownership and control over land and other forms of property, inheritance, natural resources.” For Goal 2, Zero Hunger, the indicator talks about “secure and equal access to land.” Goal 5, Gender Equality, says women will have “equal rights to economic resources, as well as access to ownership and control over land and other forms of property…” Goal 11, Sustainable Cities and Communities, calls for inclusive and sustainable urbanization and sustainable human settlement planning, and finally, Goal 15, Life on Land, focuses on protecting, restoring and promoting sustainable land use. Too many communities around the world face the threat of eviction, land grabs and illegal extraction of resources. People without formal land documents live with the insecurity of not knowing whether they can continue to live on, farm, or run their businesses on the land or in the homes they live. Why is this? Governments in developing countries are not reaching the most vulnerable people with land administration services. The government’s traditional top-down methods of requiring a handful of professional surveyors, lawyers, and notaries to survey and register the land using conventional tools, multiple steps, and numerous fees are largely failing to reach all the people who need land services. It is not surprising that a recent study from the Property Rights Index known as Prindex, found that one in four people in developing countries feel insecure about their property rights. There is ample evidence that tenure insecurity hinders development. People don’t invest in their homes, farms, or businesses if they feel insecure about their land tenure. Without basic documentation of communities or secure tenure, governments don’t provide basic services like water, plumbing and electricity. Businesses don’t provide services such as loans, mortgages, or critical inputs. And people fear losing their land and resources, cutting off their livelihoods and way of life. To cite one example, Cadasta calculated that to map and legally register the 15 million parcels of undocumented land in just one country, Uganda, with the level of productivity of the few dozen surveyors in the national land ministry, it would take more than 1,000 years to complete the job. Furthermore, the problem with SDG reporting is that it is the responsibility of national governments. However, governments can’t report on data they don’t have. In the land sector, it is well known that the data are lacking. Governments need data from the ground and efforts like Cadasta’s help provide it. In the same way, Cadasta bridges the data and access gap between governments and communities, it also bridges the gap between the geospatial industry and vulnerable households. 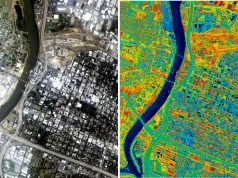 Using Cadasta’s platform built on an Esri stack, Cadasta makes state-of-the-art geospatial technologies such as high-quality satellite, drone and other remote sensing imagery, available to people who would otherwise not be able to access or afford it. Communities know their land rights best. When trained to use Cadasta’s tools and platform, they can easily and securely map, document and store their land information. And though only governments can issue full deeds or titles to land and property, there are other ways to advance tenure by documenting claims. For example, Cadasta and its partners have been working in India, Zambia, and Indonesia with local and state-level authorities who can issue intermediate documents such as occupancy certificates, production permits, and land use permits. While not full title or deed, these steps support people’s land and property claims and build evidence for further formalization. Cadasta is bridging the gap between the geospatial industry and extreme poverty. It is important to remember that while the geospatial industry is making great advances technologically to revolutionize our societies, almost half the world — over three billion people — live on less than $2.50 a day. At least 80% of humanity lives on less than $10 a day. Societies, governments, companies and citizens have to constantly challenge themselves and not leave vulnerable people and communities further behind in this data-driven age. One way to do this is to bring these technologies to the people, teach them how to use them and empower them to advance their own development aspirations. By doing this in the land space, Cadasta and its partners can support the SDGs and unlock billions of dollars of potential for future development by advancing people’s tenure security. 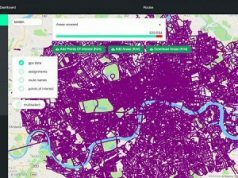 As one reflects on the various ways to make real progress in the land space, the geospatial world has a unique contribution to make. The vast knowledge, skills and technologies are available to advance the land and resource rights of millions of people and to make a better, more sustainable world.